ATB feat Stanfour, U2, Kamaliya, Style Of Eye & Soso, Jolyon Petch & DJ Favorite feat. Hannah Leigh & Kings and more. 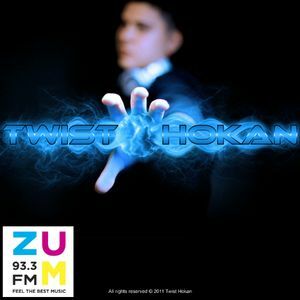 Every saturday, from 11:00 p.m. listen to Twist Hokan with his mix compilation exclusively on Radio ZUM, Pre-Party Warming radio show.